In a time when news of videogames being adapted for film is common, rarely does the trend carry over to television. 2017 will see one long-storied video game series make its way to the small screen when Castlevania comes to Netflix. Producer Ari Shankar has revealed the poster for the series, which can be seen below. The Castlevania series will be split into multiple parts with Part 1 arriving sometime later this year. No footage has surfaced yet, but Adi Shankar is aiming for a mature series that will be “done in the vein of Game of Thrones” according to a quote given to IGN. A synopsis for the show was given by Netflix. The Castlevania games have a long history dating back to the NES in 1986. The last main game in the franchise was Castlevania: Lords of Shadows 2 released in 2014 for the PlayStation 3, Xbox 360, and PC. 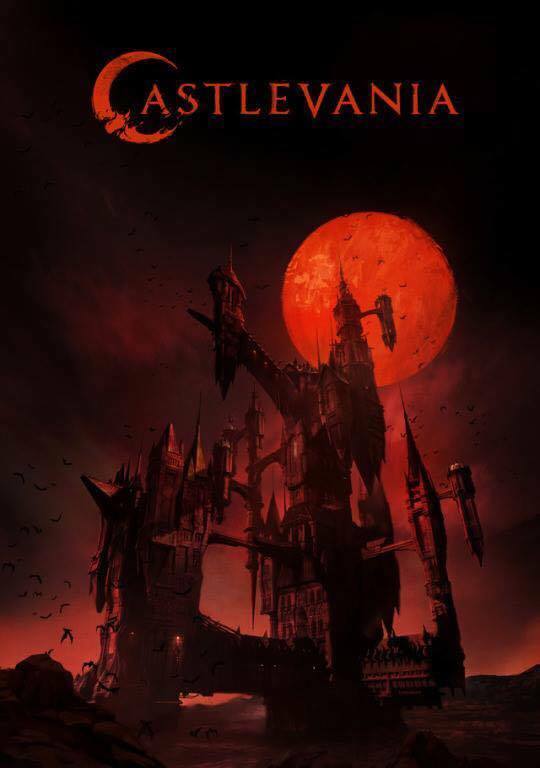 News of a Castlevania series was surprising when I first heard about it, but definitely intriguing. There are plenty of animated shows, but most are aimed for a younger/general audience and are usually comedic. This series sounds much different than that and I look forward to seeing how it looks.